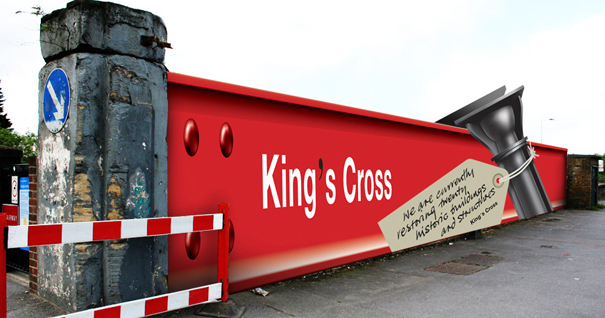 Looking for a signage company to take over your construction site hoardings design and fit? You’ve fallen in to the safe hands of Lavastar. Our signage team boasts over 18 years of graphic design and 26 years of signage experience within the construction and building industry. There is never a worry about how the end product will come out, using our design skills we will always offer the our super imposing hoarding services where you see the end product prior to it being manufactured. 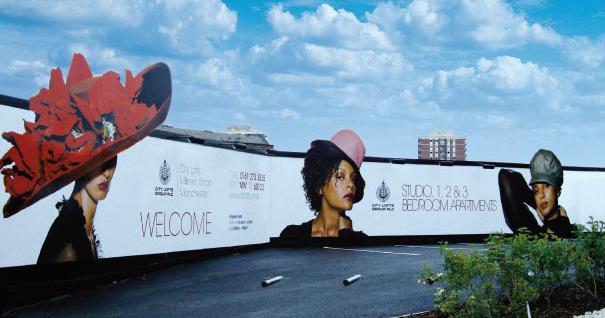 Over the years Lavastar has worked on a range of both high end and budget hoarding projects for construction sites around London and the Southern towns of England. Many clients we work with initially feel having advertising on their hoarding is just another cost they don’t really need. Think first impressions and visual impact, how many eyes will see your brand in lights across a large hoarding. Nobody wants to see tatty wood hoarding or a messy construction site when they are about to outlay a large amount of money buying a property, they need to feel in safe and professional hands. Speak to one of our team today for advice on building and construction site hoarding design and fit.